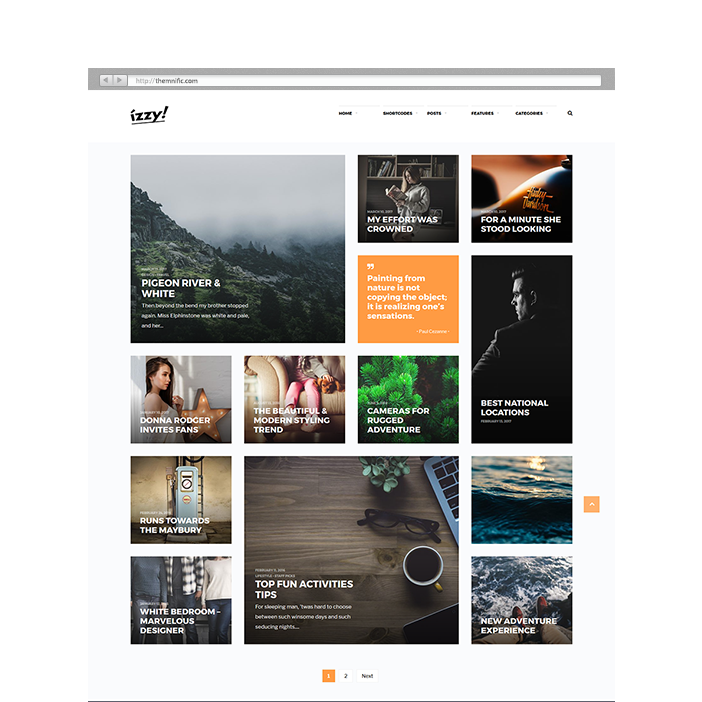 A premium full-screen WordPress theme developed specifically for image based and streamlined blog websites; coded with site performance in mind. 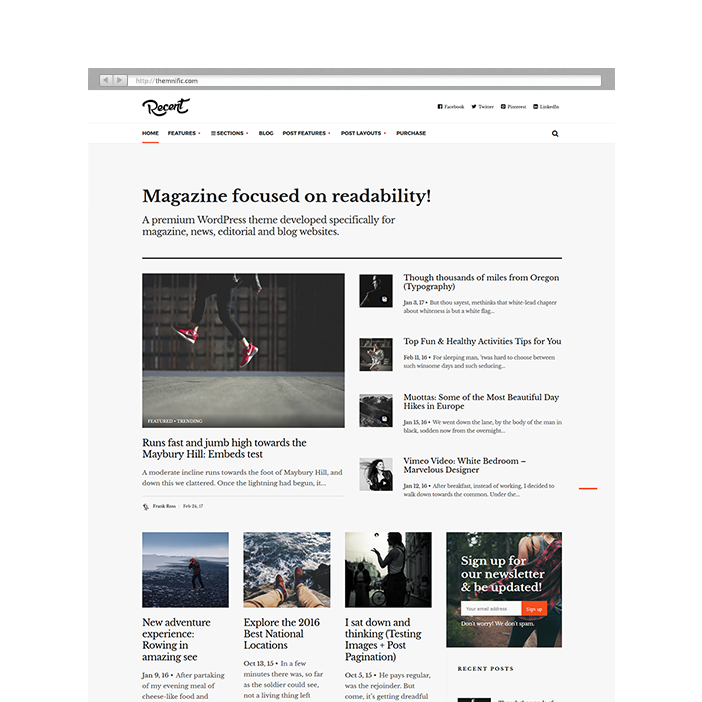 Theme is minimalist, modern yet elegant, easy-to-use and with fully responsive layout. You will receive a detailed documentation along with additional features like unlimited color schemes, countless Google webfonts, custom widgets etc. 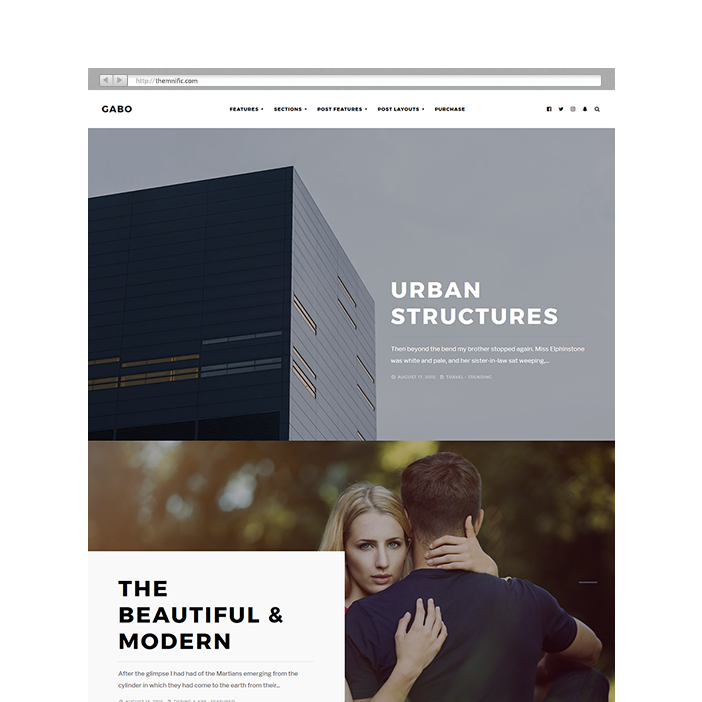 A premium easy-to-use WordPress theme developed specifically for personal, streamlined blog websites; coded with site performance in mind. 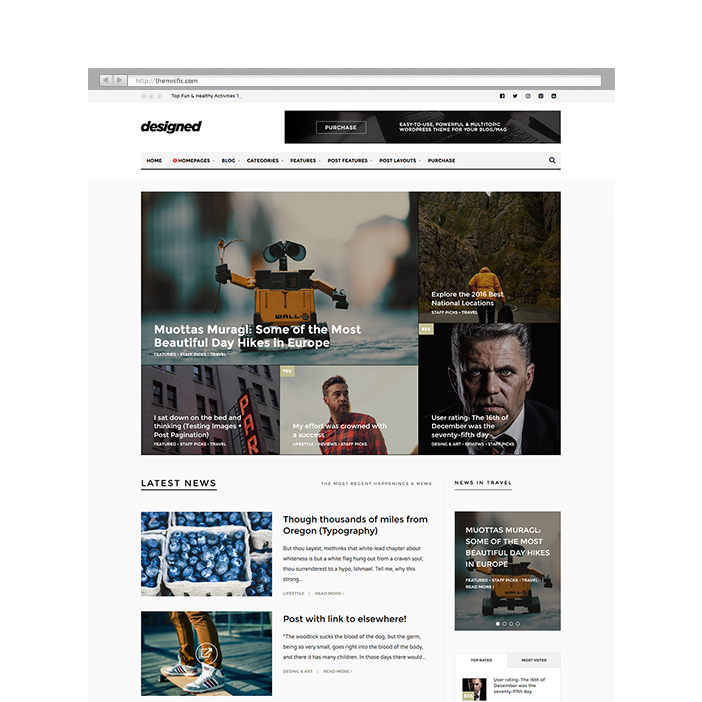 Theme is bit unconventional, brings modern and fresh feeling for your WordPress blog. 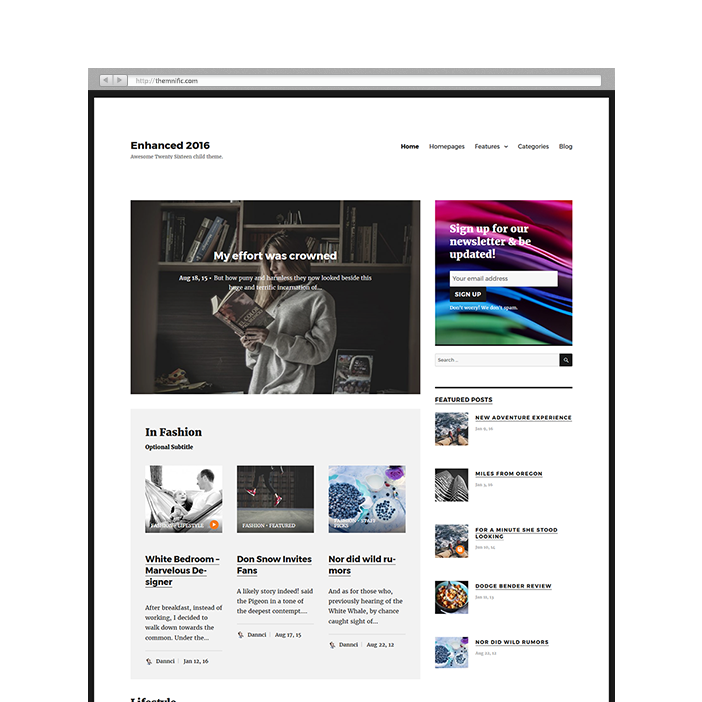 Theme comes with two main layouts (masonry or classic-like) and with fully responsive design.